Miguel Machado Suarez acquired his education at the Superior Institute of Arts in Havana, his hometown that stills serves the role of the artist’s home to this day. Parallelly being a student and an aspiring artist, Miguel developed his style whilst also discovering the world of art at the Institute – this is probably the reason why he was able to advance his craft so rapidly and with so much success. Impressively working with and incorporating traditions he learned at college, young Miguel Machado Suarez also found his own bright, eclectic, contemporary voice and style. It should be noted that Miguel became a hot topic in the world of art before he even got close to graduating. Still young and hungry for new visual solutions that will enrich his creative vocabulary, Miguel Machado Suarez is constantly motivated to stretch himself and advance his art to new levels, both in the aesthetical and conceptual terms. However, some aspects of his work seem to be constant, such as his use of contrasting oil colors. 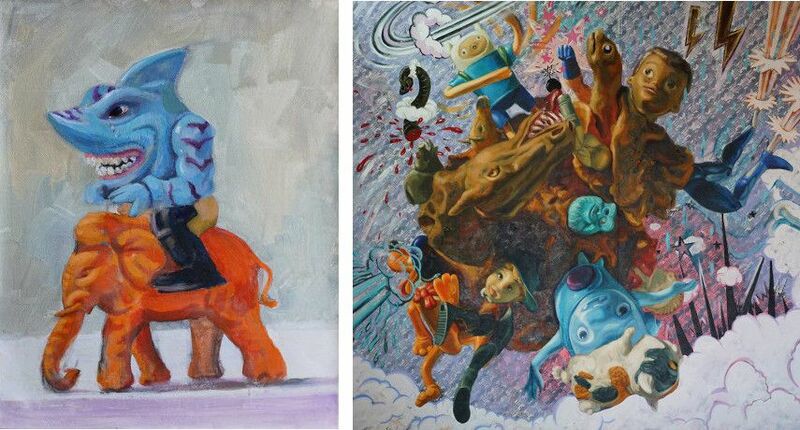 Miguel Machado Suarez appears to always mix comic elements with hair-raising concepts, a decision that results in works that appear like a mixture of Eugène Delacroix‘s paintings and something that came out of the early Disney Studio. This innovative and utterly electrifying style furnishes us with colorful and expressive pieces that are also able to disturb us. Now, represented by the likes of LKB/G Gallery, Miguel Machado Suarez will truly have a chance to make the next step on the international stage. 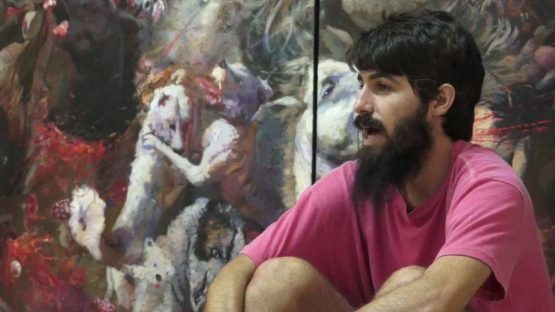 He has already shown his diverse talent in several exhibitions throughout the years, but now comes a time for Miguel Machado Suarez to fully commit to his craft and take the art world by storm. If he continues to display signs of artistic brilliance, we see no reason why Miguel Machado Suarez could not quickly become one of the leading Cuban artists for decades to come. Miguel Machado Suarez lives and works in Havana, Cuba.